What is a sustainable diet? Food sustainability, sustainable diets, and how small shifts have a big impact on the health of the environment. 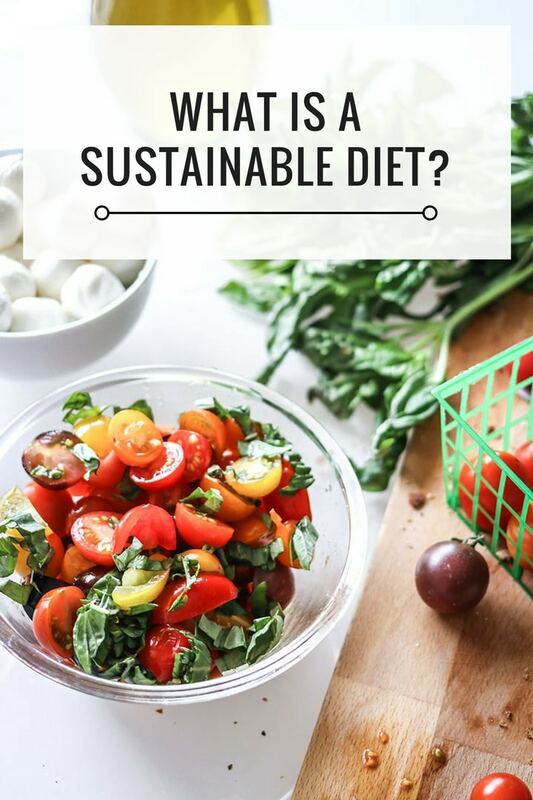 What is a sustainable diet? Exploring the meaning of food sustainability, what foods make up a sustainable diet, and how simple lifestyle shifts can have a big impact on not only your own health, but the health of the environment. Sustainable food, sustainable diets, sustainable nutrition. These terms are thrown around and talked about in abstract ways, often with a sense of apocalyptic doom. Our food systems are failing, the climate is changing! According to the sensationalist media we are, quite literally, breaking theplanet. As the sustainable food conversation unfolds, you’ve likely seen a focus on “unsustainable” food practices. From food waste to pesticide use to genetically modified seeds, the collective focus on sustainable food has been on the production side of the food chain. However, it’s easy to watch a documentary and condemn the growers, processors, distributors and retailers for the current state of our food system. As always, there is another side to the story. You, the food consumer, play a major–if not the most important–role in food sustainability. The food choices we make every day have a profound impact on not only our own health, but the health of the environment. Each time you decide to purchase and consume a food, you are making a choice about the types of foods you want on the market, the shelves and served to you in restaurants. Buying a bag of apples from a local organic orchard? You’re supporting organic farmers and your local food system. Buying a double cheeseburger, fries and a sugary soda at a fast food restaurant? Your dollars are telling the restaurant you want more of the food they serve and that you support their agricultural and production practices. Here’s the bottom line: changing the food system comes down to how you choose to spend your money on food. Changing the food system comes down to one thing: how you choose to spend your money on food. Knowing our important individual roles in creating a more sustainable food system, what dietary choices can we make every day to eat a more sustainable diet? 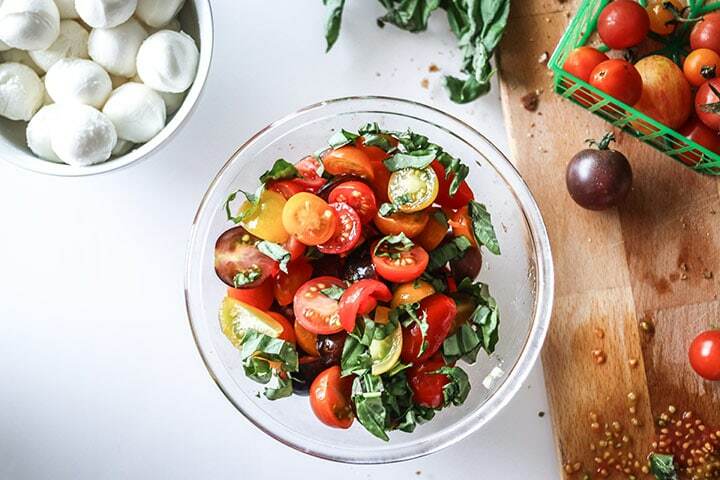 Read on to explore what food sustainability is, what foods make up a sustainable diet, and the simple shifts we can all make every day (and at each meal!) to eat a diet that is healthy for us and healthy for the planet. Sustainability is a word that is at once overused and not discussed enough. 1. The ability to be sustained, supported, upheld or confirmed. 2. Environmental science. The quality of not being harmful to the environment or depleting natural resources, and therefore supporting long-term ecological balance. The role in individual food values in sustainable diets. Because there is a wide array of ways to interpret what an ecological diet may be, food sustainability may mean something different to each person depending on their values. One person’s definition of food sustainability may mean reducing food waste, buying humane animal products and purchasing food mindfully. Another’s may be eliminating all animal foods, eating only organic and buying strictly local/seasonal. While these food values are very different, neither person’s definition is wrong and each has defined a lifestyle that makes them feel confident about their food decisions and their impact on the environment. While food sustainability encompasses all aspects of production and consumption, research shows us there are specific food choices and dietary shifts we can make to eat a more sustainable diet that provides us with the nutrition we need while also lessening the environmental impact on the planet. What is a sustainable diet? When deciding to “eat green,” it can be hard to cut through the noise to decipher what food choices are the sustainable choices. With misinformation and fear mongering on the rise, it can be overwhelming and you may feel that your small shifts are not making a difference. But trust me, your small choices every single day will make a very big difference. But where do you start? Your small sustainable food choices every single day add up to make a very big impact. 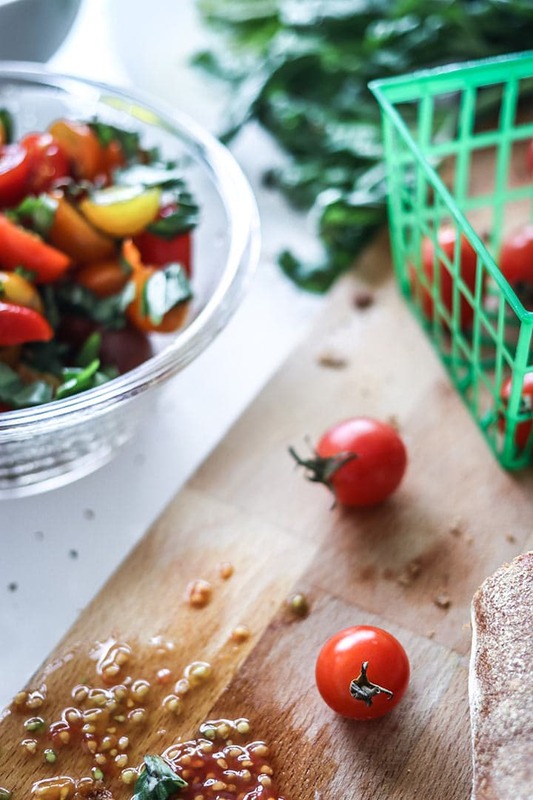 There are many sustainable diet principles and recommendations that get into the nitty gritty of each food and whether or not it’s sustainably produced, but I personally believe that is not a sustainable (pun intended) way of living your life. Green eating is not exclusive of food groups, but instead shifts the focus from consuming mostly resource-intensive foods to those that provide adequate nutrition with much less impact on the environment. The number one thing you can do to be a more sustainable eater is to put more plants on your plate. Eating a plant-based diet, or one consisting of predominantly plants, is the first step to making sustainable food choices that are both good for you and good for the planet. Mix it up! Vary the foods you put on your plate each day to ensure you are getting adequate nutrients and to keep things interesting. Beans and legumes, green leafy veggies, starchy tubers, nuts and seeds, and healthy fats should be staples at every meal. 3. Moderate your meat consumption. You’ve likely heard reporting that meat and dairy production has an impact on the environment, but does adopting a sustainable diet mean you must become a vegetarian or vegan? Absolutely not, however it’s important to be mindful of your animal food consumption. Choosing to eat a mostly plant-based diet does not mean that you can never eat meat, dairy or eggs again, but instead means you have decided to make more informed choices about where you buy the animal foods you consume. 4. Don’t overeat, don’t overbuy. Be mindful of your food consumption, as overconsuming food has been identified as an unsustainable food habit by the Food & Agriculture Organization. Be mindful of your food choices; buy just enough, not too much. The largest contributor to food waste is during production, however as a consumer you control how much food your household wastes. Plan your meals to reduce waste, freeze what you don’t use, and buy only what you need. 6. Make mindful purchasing decisions. Eating a sustainable diet and living a more sustainable lifestyle doesn’t start and stop at individual food decisions. Making mindful purchasing decisions applies to all aspects of being a consumer, from buying organic pasture-raised eggs to buying seasonal produce instead of fruits and vegetables shipped from across the world. Even deciding where and how often we buy clothing, furniture and other household items can be a practice in sustainable living. Living with less, making mindful purchases and seeking out products that are produced with the environment in mind is the crux of living a sustainable lifestyle. Yes, these small diet shifts can have a big impact. It may seem radical to think that buying strawberries from your farmer’s market and eating beans or lentils instead of meat one night a week can have an impact on environmental sustainability, but each and every decision you make contributes to a larger collective sustainable movement. According to research by the World Resources Institute, if 25% of the world’s high meat and dairy eaters reduced their consumption by only one third, it would free up 1.6 billion acres of land currently dedicated to growing animal feed, an area of land twice the size of India. That’s the power of collective sustainable food choices, and the mission here at Fork in the Road. Ok, i’m ready to adopt a sustainable diet. where should I start? If you’re inspired to make a sustainable lifestyle shift, your diet is where you should start! Choosing a diet consisting of prodiminantly plants, eating seasonally and locally when possible, planning meals to reduce food waste, and making informed purchasing decisions are the key to sustainable eating. Check out the plant-forward recipes here on Fork in the Road and my post on meal planning to be a more sustainable eater to start, and research the seasonal foods in your local area with this handy seasonal food guide. And finally, don’t hesitate to reach out and ask questions about sustainable green eating and what resources and information I can help you with! Email me at kristina@forkintheroad.co or leave a comment below and I’ll be happy to help. Thanks! Super excited to share more sustainable nutrition and kitchen hacks soon. Great post! I’ve been changing my diet a lot and shifting it towards a more sustainable one. I love your way of informing as it comes by as informational without being condescending. I’m glad you enjoyed it, thank you for taking the time to write a comment. I personally know how difficult it is to change lifestyle habits but I’m passionate about helping people making better choices for their own health and the health of the environment. Thanks for stopping by! Love that you wrote this article! Can’t tell you how many times I say “eating not only for your body’s health, but the health of the planet” — I do wish more nutrition professionals spoke to these points! Yes, I agree! I think it’s our duty to not only share what food does for our own healthy, but also for the health of the planet and communities we live in. Food is more than nutrients, it’s culture and community and the earth. Thanks for stopping by, I appreciate the comment!